How do we get the Fly Movement program into our schools and how much does it cost? Howdy and thanks for your interest in wanting to implement Fly Movement at your school. As you can see above, we get inquiries ALL THE TIME from Teachers, Schools, and Parents who would like to have their kids participate in Fly Movement (or at least a similar program) that motivates kids to move. And the truth is, WE WANT to help you and launch Fly Movement wherever it’s wanted. The cost to purchase the fitness trackers and access to the DHS health technology platform that is used to track the kids’ movements is roughly $50 per student. So, the average cost for two classrooms to participate in the program (20-25 kids) is $2,500. 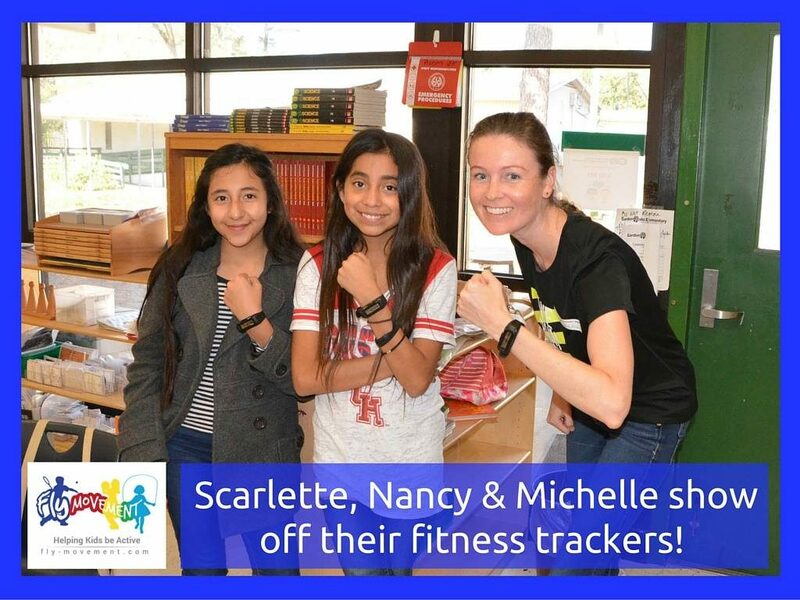 You can learn more about the Movband trackers we use here. The fitness trackers need to be synced and charged every week – and this is not the responsibility of the parents nor the Teachers. So, someone other than the Teacher needs to be designated to retrieve all the trackers from the students once a week and sync each tracker one at a time via USB to a laptop. This can take anywhere from 2-3 hours each week for a program with 50 students. There are other tasks associated with our program to make it hum along smoothly and you will need some awesome volunteers (see Fly Movement’s Volunteer Guide). If you have solutions to these two hurdles (perhaps you are a teacher and can raise money on DonorsChoose.org and also have a reliable volunteer who can sync the trackers once a week for six weeks), then we will provide answers to any question you may have and share all of our learnings with you. We want you to be able to launch this new and innovative kids’ fitness program in your school. If you are in Houston, we’ll be able to help you with synchronizing the fitness trackers. Are you game? If you think so, then see ‘So You Want to Launch a Kids Fitness Program?’ This shows step-by-step how our program works. Still interested? Then contact us. There’s no need to wait.